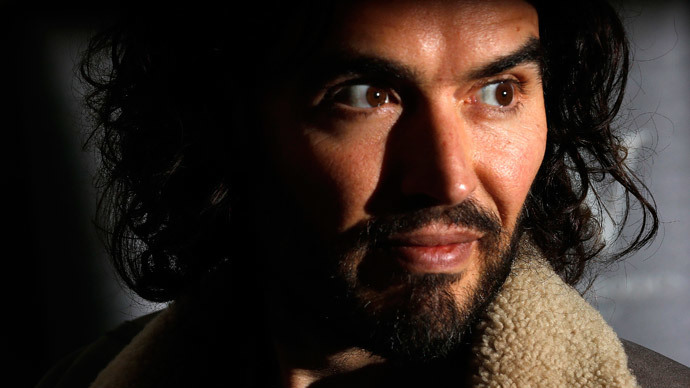 Activist and comedian Russell Brand attempted to spring an unwelcome visit on the proprietor of the Daily Mail, only to discover the owner of the up-market London mansion was out. Brand turned up at Viscount Rothermere’s home with a camera crew in tow, apparently filming for the documentary he is making with Michael Winterbottom. He and the crew reportedly trampled across the lawn and knocked on the front door, only to be informed the Daily Mail owner wasn’t home. This is the second time in a week Brand has publicly attempted to gatecrash someone on his “hit list.” In December, the self-styled revolutionary paid a visit to the RBS headquarters in London (Royal Bank of Scotland), where he protested against the bank’s taxpayer bailout. He was denied entry and soon escorted off the premises. This time his victim was Viscount Rothermere, reportedly worth £720 million, having inherited his father’s vast media empire. He is also the current owner of the right-leaning Daily Mail. Brand has previously targeted the newspaper for its alleged tax avoidance schemes. The tweet showed the business card of the journalist in question, fully exposing his contact details.